Buy Euromillions Lottery Tickets Online. A fast and secure no nonsense way to get your lottery tickets. Play Now and receive a $30 CashBack promotion with your first purchase! %100 Genuine Official Scanned Tickets in Your Account! Where can I buy Euromillions tickets? – You can buy Euromillions tickets online and save a chunk of time! Of course if you live outside of Europe and do not have a friend that will buy your Euromillions tickets for you than you have one of two choices. You can buy Euromillions Tickets online or not be in the pool to win. If you do not live in Europe than the only way to buy Euromillions tickets is to do it online. You do not want to miss a drawing date and miss your chance to win. The only way you can win is to be in it. Ultimately the only choice you have to win is to get your numbers in for the drawing. You do not have to worry about your security when you buy Euromillions tickets online. The sites are completely secure and your information is always protected. You can use your credit/debit card with confidence. There are layers of protection in place to insure a safe transaction. You never have to worry about credit/debit card information being hijacked. The security is of the highest degree. You can buy Euromillions tickets online even if you have no experience. The process is simplified and easy to use. There are easy to follow directions and plenty of lottery information online that can help you to easily understand the process. There is actually tons of information available that can easily help you to make smart number choices that will enhance the chance of you winning. When you buy Euromillions tickets online you have the same opportunity to win as if you walked in the store on your own. The odds are the same. The payouts are the same and you never have to leave home to get your tickets. You could win the Euromilions lottery and NOT have to pay out any commissions on your wins. It is a great way to play the lottery. Pay one low price to buy your Euromillions tickets online and take your chance on an exceptionally high paying lottery jackpot. Never miss another drawing date again. No matter where you live you can easily get the tickets that will change your life. Remember you do not have to live in Europe to participate in this great high paying lottery. Just buy your Euromillions ticket online! Its fast, its secure and it is a great opportunity. Euromillions is $7.00 per line. 10 draws for 20% off. Minimum 3 lines ($21). No special discounts when purchasing several lines. No subscription available. $15 CashBack for new players! Genuine scanned tickets. Euromillions is €3.00 per line. Can’t buy tickets for many draws ahead of time. No minimum number of lines required! No special discounts when purchasing several lines. No subscription available. FULLY REGULATED! Genuine scanned tickets. Euromillions ticket is $6.30 per line (3 lines minimum required) 15%-%25 discount when purchasing for 5-52 draws ahead of time. Subscription gets you every 10th ticket for free. Genuine scanned tickets. Euromillions ticket is $6.44 per line (for first line) with second line for free and discounts of up to %13 off when purchasing several lines. Can’t buy tickets for many draws ahead of time. No subscription available. Genuine scanned tickets. Euromillions ticket is €7.01 per line (for first line) 2%-%25 discount when purchasing for 2-52 draws ahead of time, no MegaPlier available. Subscription of 2-4 weeks available with 4%-15% discount. Genuine scanned tickets. If you have never played EuroMillions, then you will have a ton of questions. To address some of them, here is a list of EuroMillions frequently asked questions. EuroMillions is one of the largest lotteries in the world and certainly the largest and most popular in Europe. The game is played with a set of seven numbers, first five of which are main numbers and the last two are lucky stars. Matching all five numbers and the two stars would win you the jackpot. The least winning combination of numbers is matching two main numbers of the results with two main numbers on your ticket. There are more than ten combinations between the jackpot and the least prize money. EuroMillions draws are conducted on every Tuesday and Friday, unless a draw-date is canceled for any specific or unspecified reason. The time of the draw is 20:00 GMT or 21:00 CET. The draw takes place in Paris. Are you eligible to play EuroMillions? You have to be at least eighteen years old and you must be a national of the participating countries to play EuroMillions. The participating countries are France, Spain, UK, Portugal, Switzerland, Ireland, Belgium, Austria, Monaco, Luxembourg, Isle of Man, Andorra and Liechtenstein. Offshore territories under the administration of these countries are also participants. If you are not a national of these countries, you are still eligible but you would have to check with the EuroMillions concierge services to see if there is an authorized dealer in your country. Also, your country’s laws will come into play as some countries don’t allow participation in such lotteries. Some countries have lowered the qualifying age to sixteen, as is in the UK. When can you buy EuroMillions tickets? You can buy EuroMillions tickets at any time till 20:30 CET or 19:30 GMT of the draw-date. You can buy tickets for Tuesday, Friday or for multiple draw-dates. But a ticket for a particular draw-date must be purchased at least one hour before the time when the draw is going to be held. Can you buy multiple EuroMillions tickets? Yes you can. You can also purchase tickets for as many as fifty two draws, all at once or in advance. You can also play for three lines, five lines, systematic or against the syndicate. You may also opt for a onetime entry or a multi-draw game. EuroMillions results are not very difficult to understand but one has to look at them in the right context. The winning amounts and jackpots have to be made note of. The prize breakdown has to be understood and then the numbers have to be tallied with the combination on a ticket to know if one qualifies for any prize or money according to the EuroMillions results. Now, you may be aware that the first five numbers are ‘main numbers’ and the last two are ‘lucky stars’. Here’s the breakdown of the EuroMillions results according to the prize money. To win the jackpot, a ticket holder or player needs to match all five main numbers and the two lucky stars. In other words, if a ticket has all the five numbers in the main section and the two lucky stars in the lucky star section, then one can claim the jackpot. The jackpot for this particular draw was £24,682,682.00 or €33,327,954.00. No one won the jackpot in this week. Hence, the jackpot got brought forward to the next week or next draw-date. The second prize is for those who can match the five main numbers and one lucky star. The prize money for that in this week was £220,314.70 or €291,869.90. Six players won this lottery. The third prize is for those who match all five main numbers but no lucky stars. 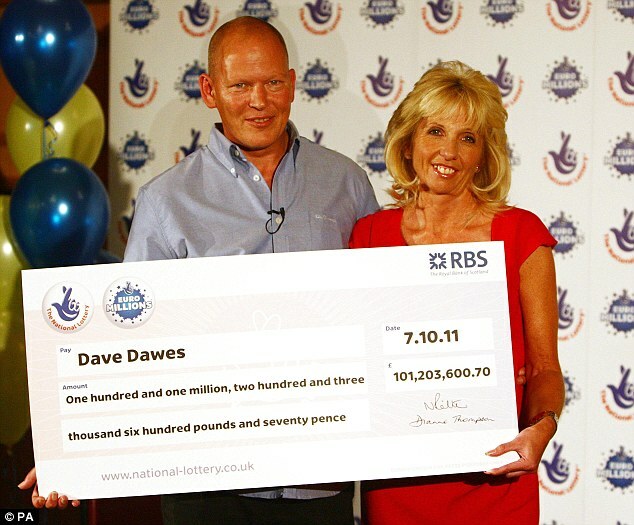 Eight people had these numbers on their ticket and won £55,078.60 or €72,967.40. Fifty nine people who matched four main numbers and two (both) lucky stars won £3,734.10 or €4,946.90. More than thirteen hundred people matched four main numbers and one lucky star number and won £143.50 or €190.10. This goes on and people win if they can match at least four main numbers, at least three main numbers two stars, two main numbers and two stars, three main numbers and one star, three numbers without any matching star number, one number and two stars, two numbers and one star and finally only two numbers without matching any star. The winning amount obviously goes down as one matches less numbers or stars. At What Time is the EuroMillions Draw? The European EuroMillions draw is either on Tuesday evening or on Friday evening at about 9 PM Central European Summer Time. At What Time do EuroMillions Ticket Sales Close? On Tuesdays and on Fridays, the EuroMillions ticket sales close at 8:30 PM Central European Summer Time on the same evening of the specific draw. Tickets are starting to be sold already for the next EuroMillions draw at 10 PM Central European Summer Time, about 1 hour after each draw. How Long Are My EuroMillions Tickets Valid For? EuroMillions tickets can usually be valid for up to 90 days from the date of the draw if they are intact and not defective, meaning don’t put them through the washer by accident. Yes. You can buy Euromillions tickets online if you want to! If the tickets are bought by an online ticket provider or messenger service that buys the actual ticket and holds the original for you, you can claim the prize in the country where the original ticket was bought if it wins the jackpot. EuroMillions is one of the most rewarding lotteries in the world. It is a one of a kind draw that has more than a dozen countries participating at the same time. How to play EuroMillions is quite simple as there are very few complications as is common with other lotteries involving large winnings. To get started, you need a set of numbers. In EuroMillions, you need a set of five main numbers which can be any combination of five numbers from 1 to 50. In addition to these five main numbers you need two more numbers which are known as Lucky Stars. These two numbers can be any number from 1 to 11. In total, you need seven numbers – the five main numbers and two lucky stars. – There are two ways to get these numbers. You can opt for Lucky Dip and have a combination of numbers selected for you and then you can purchase the ticket. In this method, you would have no control whatsoever as to what numbers you get on your ticket. There is another option, known as the Random Number Generator, which allows you to choose the combination of your choice. You would still have to use an automated system generating random numbers but if you don’t like the combination then you can use the generator again till you get a combination that you want. – Once you get your numbers, simply create an online account and fill up the EuroMillions form which is known as a play-slip. Select the number of draws you would like to partake and select the number of lines you wish to play for and click ‘Play’. – You would be taken through the registration process where you have to furnish your details and pay for the EuroMillions tickets online. As the payment gets processed, the tickets are booked for you and you get a confirmation from the concierge service or site that you have used. The aforementioned procedure of how to play EuroMillions applies to all variants of the draw. Whether you enter a onetime draw or multi-draw, a three lines draw or five lines or you play as a Syndicate, all tickets have to be purchased in the same manner. Once you have your numbers, wait for the Tuesday, Friday or the draw-date you have chosen when the draw would be held and keep your fingers crossed. Take advantage of the exciting developments at EuroMillions. On 27th September, a number of changes will ensure bigger, more frequent jackpots and more winners at Europe’s biggest lottery. Meanwhile, on Friday 30th September, a SPECIAL SUPER DRAW will pay out an estimated €130 million jackpot! It is the perfect opportunity for you to enter this lottery game called Euromillions Superdraw that happens only 2 or 3 times a year and you can play online now! The Superdraw takes place just two or three times each year and there is already a significant media buzz about the huge forthcoming jackpot. Buy your tickets online today for a 130,000,000 Euro win! EuroMillions which saw its birth in 2004 is an online lottery that is now increasing in popularity in the world of online gambling. Moreover it is now being preferred by a large audience from all around the globe with its prize money of 190 million Euros. The ticket cost is only 2 Euros, 2 Pounds in the UK and 3 Swiss Francs. In the year 2011 they moved from a draw done weekly to 2 draws per week. The EuroMillions lottery offers numerous ways on how a player can play the game. They could just choose one that they think would be best for them. You can read EuroMillions review and start to win!. One of the simplest way is to play as an individual. Here the player only needs to go online and start placing his bet. An individual player usually has 1 in 24 chances of winning the lottery which means that you are very close to the jackpot prize. You could also customize your playing mode just by selecting some of the available options when you play online. Some of the most common options are subscribing and choosing a multi-draw. If you are very sure about the set of numbers that you have chosen, a subscription could be the best playing mode for you. In this mode, you can still use your numbers on the next drawings but it has to be in the same lottery. If ever you have decided to change the numbers, you can change your subscription anytime you wish or even stop it if you want to. The multi-draw will give you the opportunity to play your chosen set of number and will set a definite number on how many times you can play using your selected series of number. You could also reduce the amount that you are going to pay since this type of playing mode allows advance payment for all the games that you will join. There will be no problem if you no longer want to play, the amount of money that you have initially paid will be refunded back to you. Starters can use groups also known as syndicates in the world of lotteries to help them win. Playing with these syndicates will increase your chances of winning where your odds will rise to 1 in 4. The only drawback of this mode for some people is that you will have to share the winnings with the group. Normally, a syndicate consists of about 39 or more players and if you choose this mode, you will automatically be put in a certain group and become of one of its 39 players. EuroMillions syndicates have their own method of choosing their numbers. They will use the selected numbers and combine with 2 of the ‘Lucky Star’ numbers to increase the odds of winning. This is a proven technique and there are numerous players who have won the jackpot. The chances of winning will get a huge boost of about 3600%. There are 50 balls during every draw and 9 ‘Lucky Stars’. In order to win, you must match 5 numbers from the regular balls and 2 from the ‘Lucky Stars’. This is easy to achieve especially if you are with a group. Or you could just aim for a match of 2 regular numbers and only one from the ‘Lucky Star’ group. If you are looking to buy a Euromillions Lottery Ticket Online then you have come to the right place! At our website you can buy tickets to the biggest lotteries online in our shop! We offer secure Online Lottery Ticket Purchase for Euromillions tickets too! Winning the Euromillions Lottery jackpot is not an easy thing, but if you are looking to do so, you will need to purchase your own lucky ticket and hope that your lucky stars are shining down on you because in order to win a jackpot you will need to buy a ticket that matches all 6 numbers and that is a 1/116 million! The lottery is an exciting game that is liked and played by millions of people all over the world. Though, there are many lotteries that are played all over the world and Euromillions is one of them. This lottery is a Europe based and countries like Spain, the United Kingdom, France, Belgium, Ireland, Austria, Switzerland, Portugal and Luxembourg participate in the same. Playing this lottery allow players a chance to win lottery jackpots. Huge amounts can be won as jackpots and recently, the biggest jackpot was won by a Spanish ticket holder. The value of the jackpot was 110 million Euro, that is, 153,462,753 US Dollars. People love to win such huge amounts. If you wish to win such a staggering amount, you need to follow certain tips. The “odds” is the only challenge in winning EuroMillions. 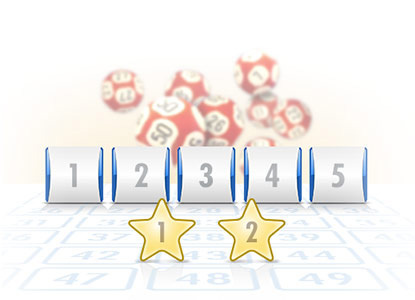 In order to win the jackpot, the players are required to match five numbers in addition to the two lucky star numbers. Hitting all of them is very rare and the chances are just one in 76 million. Many people lose their faith after hearing about such odds, but there are various ways and means through which these odds can be lowered. For instance, if ten tickets are purchased for one draw, the odds of 1 in 76 million reduce to one in 7.6 million which is substantial. Lottery enthusiasts love to lower the odds and increase their chances of winning a whopping sum. Heeding this advice can surely do that. One must also try to participate in as many draws as possible to increase winning probability provided you can afford the tickets without any problem. Many people prefer to play with the same number set and if they participate in several draws, the probability of winning automatically increases. This tip also works quite well. This is quite understood that purchasing more lottery tickets will automatically increase the chances of a EuroMillions lottery win. Also, purchasing more tickets can turn out to be quite expensive. Thus, it is better to join a lottery syndicate or a lottery pool to share the expense of buying expensive tickets while at the same time enhancing the odds of winning a jackpot. If there are ten people in the pool, each buying ten tickets, meaning one hundred tickets for a specific draw. This will reduce the odds to 1 in 760, 000 which is much more optimistic and manageable figure than one in 76 million. The chances of winning EuroMillion jackpot increase substantially by following this tip. In the end, if the winning amount is split between 10 people, it would still be a huge amount as the jackpot amount is simply staggering. There are many lottery websites where self professed lottery pundit disburse with various tips and advices pertaining to winning jackpots. Many of them use silly tactics or odd numbers that they derive after crazy calculations which are rarely on the mark. Thus, the best way to achieve success in lottery winning is by joining a lottery pool or a syndicate.